I Just got in and found another package from Sleek Makeup. 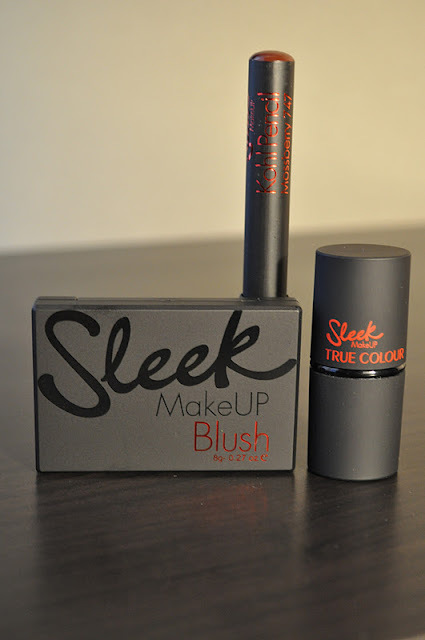 I purchased the Sleek Makeup Limited Edition Berry Collection back on the 22nd of December and it just arrived; this is the longest I've ever had to wait for a parcel from Sleek. Unfortunately, It's a bit late (almost midnight) and too dark to take photos of swatches, so I'll post them later this week. I apologize from the poor quality of these photo's. The flash from my camera makes the packaging look dark grey but it's black.